Wardell Stephen Curry II, also known as Stephen Curry, is a professional basketball player with the Golden State (California) Warriors. Curry is considered one of the greatest shooters in NBA history and an “elite” all-time scorer. As the 7th overall pick in the 2009 NBA draft, Curry rose to become a four-time NBA All-Star, two-time NBA champion and most valuable player, and a leader in three-point shooting. Curry was born on March 18, 1988, in Akron, Ohio to Sonya Curry and former NBA player, Dell Curry. The family moved to Charlotte, North Carolina when his father signed to play for the Charlotte Hornets. Curry was able to develop his basketball skills at a young age because his father took him and his younger brother, Seth, to Hornets games where they were allowed to shoot with the team during game warm ups. Young Curry attended Charlotte Christian School where he played basketball, leading his team to three conference titles and three state playoff appearances. After graduating from Charlotte Christian School in 2006, Curry attended Davidson College and joined the Wildcats men’s basketball team. He was named the Southern Conference Freshmen of the Year and led the Wildcats to the regional finals of the NCAA tournament. Curry played for the Wildcats until the end of his junior year where he decided to opt out his senior year to become eligible for the 2009 NBA Draft. Curry finished his final season with the Wildcats averaging 28.6 points per game. In 2009, the Golden State Warriors drafted Curry during the first rounds of the NBA draft. During his rookie season, he won the NBA All-Star Weekend Skills Challenge, was voted second in the NBA Rookie of the Year, and was named to the NBA All-Rookie First Team. In 2010, he participated in the FIBA World Championship and won a gold medal with the USA basketball team. Known for his shooting accuracy, Curry blazed a path by setting shooting records that established him as one of the NBA’s best scorers. Along with his teammate Klay Thompson, the duo became known as the “Splash Brothers” because of their long-range three-point shooting. The 2014-2015 NBA season was arguably one of Curry’s best seasons. The Warriors led the league with the best winning record, 67-15, in which Curry was named Most Valuable Player. The team went on to win the NBA Championship against the Cleveland Cavaliers. During the 2015-2016 season, Curry was the first player in NBA history to be named MVP with a unanimous vote while the Warriors set a season high record, 73-9, surpassing the 1995-1996 Chicago (Illinois) Bulls historic record. 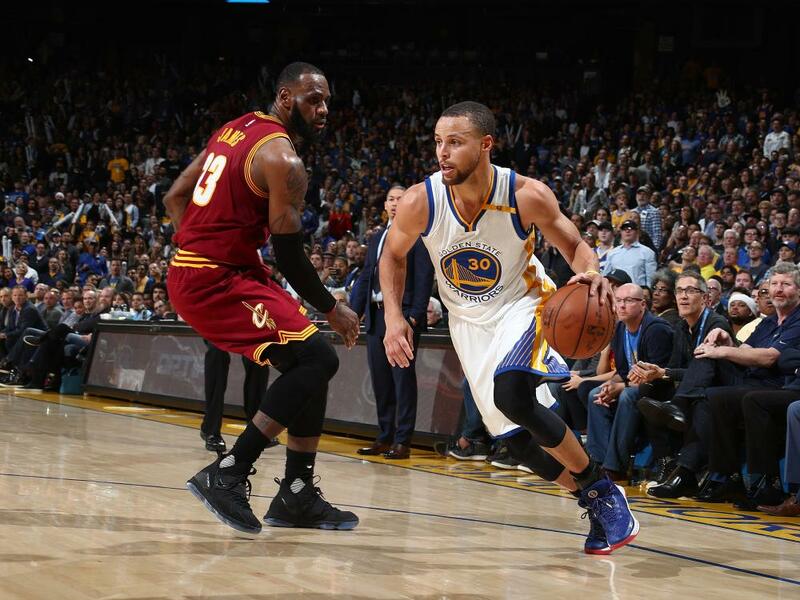 Curry and the Warriors returned to the finals against the Cleveland Cavaliers but was ultimately defeated in seven games. Despite the devastating loss, Curry and the Warriors continued to gain success in the following season with the addition of Kevin Durant. They returned to the 2017 NBA finals for the third straight year to face the Cavaliers, whom they defeated in five games, leading to Curry’s second championship victory. Curry married Ayesha Alexander Curry in July 2011. The couple have two daughters, Riley and Ryan Curry. His younger brother, Seth Curry, also plays in the NBA. “Stephen Curry,” Biography, https://www.biography.com/people/stephen-curry; “Stephen Curry,” National Basketball Association, http://www.nba.com/players/stephen/curry/201939; “Stephen Curry,” USA Today, https://www.usatoday.com/story/sports/nba/2016/03/14/28-facts-you-might-not-know-about-stephen-curry/81767138/.